This is a really common problem especially when someone purchases a second-hand device without realizing that the device is stolen until it requires an iCloud password. Fortunately, there are ways around this problem. This article will share with you just a few of the most effective ones. One of the best solutions for you if you don’t have an iCloud password, is iMyFone Fix iOS System software which supports iOS 11. This tool can fix just about any issue your device may be facing and since it installs the latest firmware on the device, it will then help you bypass the passcode. We must however warn you that you will lose all the data on the device if you use the advanced mode. We’ll show you how to use this tool to fix the device in a moment. But before then, the following are some of its features. It is a tool used to fix an iOS issue including a device that is stuck in DFU mode, recovery mode on the Apple Logo or one that won’t respond. It can be used to update the iOS (including the latest iOS 11) on your device without having to use iTunes. It is very simple to use and highly effective. 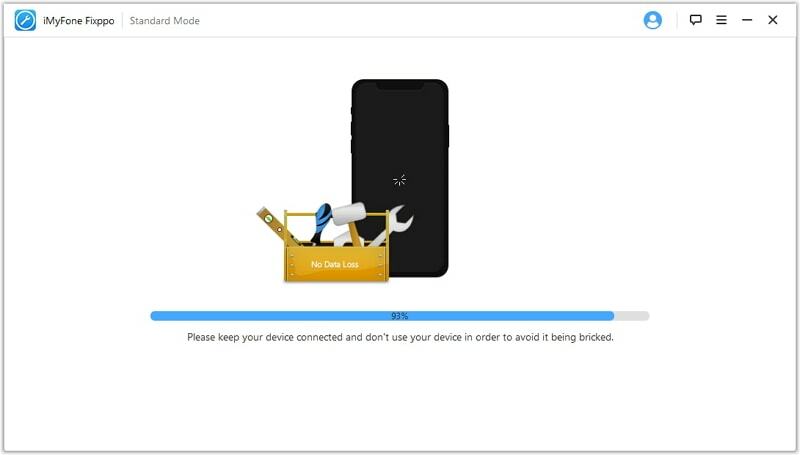 Step 1: Download and install iMyFone Fix iOS System to your computer and then follow these simple steps to fix the device. Step 2: Launch the program and then choose "Advanced mode" in the screen. 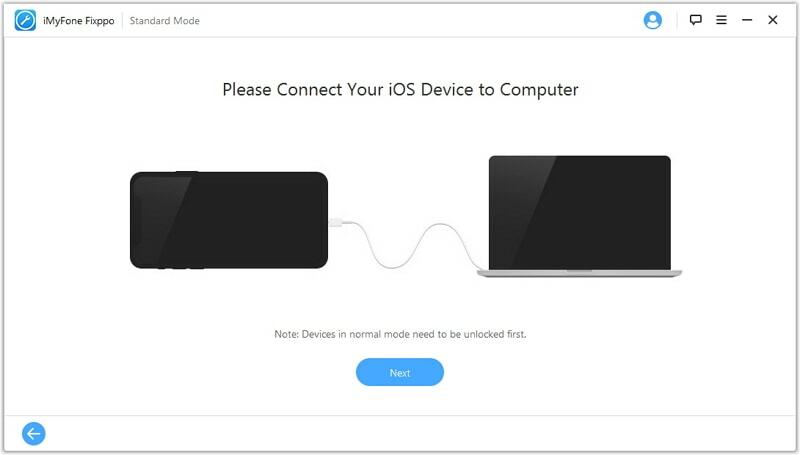 Connect the iPhone to the computer. Then please follow the instructions to put your device into DFU mode or Recovery mode. Step 3: The program will need to install the latest firmware to fix the device. 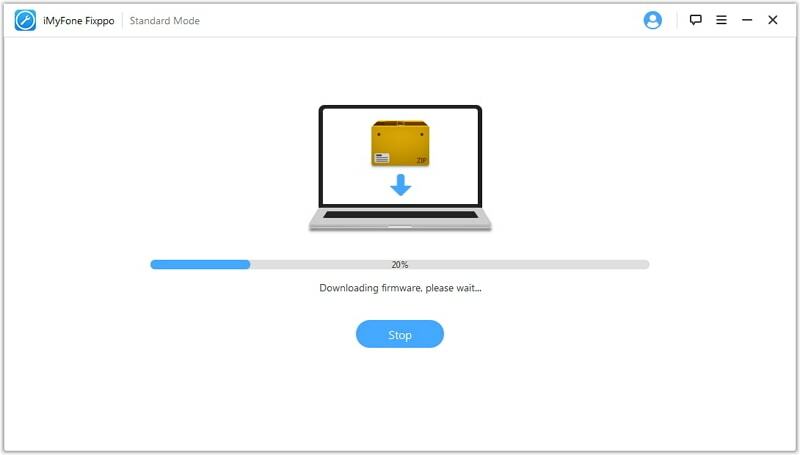 Click “Download” and wait while it downloads the firmware. Step 4: Once the download is complete, the program will begin fixing the device immediately. When the process is complete, the device will restart and it should hopefully work just fine. If the solution above fails to produce the desired result, you have the option to use an iCloud removal service. Two of the best and how to use them are outline below. It is one of the best solutions in the market. Here’s how to use it. Step 1: Go to iPhoneIMEI.net on any browser and enter the device’s IMEI number. If you don’t have the IMEI number, you can get it by dialing *#60# on your device or clicking on the “I” button if the device is yet to be activated. Step 2: Click on “Unlock Now” and then make payment (about $50) and enter your email address. You will then only need to wait 1-3 days for the device to be unlocked. OffiialiPhoneUnlock.co.uk is another great alterative and much like the first solution, it is fairly easy to use. Here’s how. Step 1: Head on over to https://www.officialiphoneunlock.co.uk/ and click on “iCloud Unlock” to enter the IMEI number. Step 2: Make payment and wait for the device to be unlocked. You can also choose to use the DNS method and although it may work, we must warn you that it may also fail sometimes. Here’s how to do it if you don’t want a paid service. Step 1: Hold down the Sleep and Home button or the Volume Down and Power button (for iPhone 7) to reboot the device and get to the set-up screen. Step 2: Follow the on-screen instructions until you get to “Choose a Wi-Fi Network.” Click on the “I” near the Wi-Fi symbol and choose “DNS.” Type in the following numbers. Step 4: Finally, tap the back button again to prevent the iPhone from activating and also to return to the previous page. You should see iCloudDNSBypass.net on the screen. Simply tap on the menu to access the apps and find one that may contain the iCloud login information you need.